When we first discover odd looking discolorations on our skin we begin to worry. What does it mean? Where did it come from and how can I get rid of it? Well, liver spots also called ‘age spots’ are typically found in persons 40 and above. This however, does not mean that younger persons are immune to them. In all probability, you are probably affected by either liver spots, scientifically referred to as solar lentigines which occur due to exposure to the sun, or tinea versicolor which is caused by a fungus. Tinea versicolor can be found in adolescents and younger children. Liver spots though, are common and relatively normal. They are not contagious. Liver spots occur due to prolonged and consistent exposure of the skin to ultraviolet rays from the sun. They are light brown or dark spots on the skin, usually in areas that have been consistently exposed to the sun. They commonly on appear on the arms, the face and on the legs. They also occur on the scalp, although rarely, on men who are balding. This type of liver spots is more often than not seen in people who have diabetes, or, who are receiving steroid, antibiotic or immune-suppressant therapy. When the scalp is exposed to the sun for a long time, UV rays will break down the collagen and the elastin in the cells causing the skin to be rougher. This in turns causes a build of melanin and hence dark spots occur. Cosmatically, they are unpleasant to look at and its abundance can cause a great deal of emotional stress. 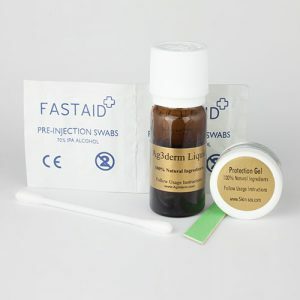 However, liver spots are treatable with applications oral and topical to the skin. Skin bleaching lotions or creams are just some of the popular over the counter options. Be careful however, most bleaching lotions use hydroquinone which can cause blisters or other skin reaction in some people. Treatment can also be improved if persons include the right vitamins in their diet. Cost of treatments may range from as low as $60 to $5000; the latter being related to laser treatments or chemical peels. Exfoliating the skin is also another option and this is called dermabrasion. It is usually men who are affected by liver spots on the scalp as they begin to go bald & lose their hair, and they have an image to protect, they may spend the extra to keep their confidence intact. Wear protective clothing, e.g. hats, long-sleeved shirts, etc. Use high-quality sunscreens with SPF ratings of minimum 30.